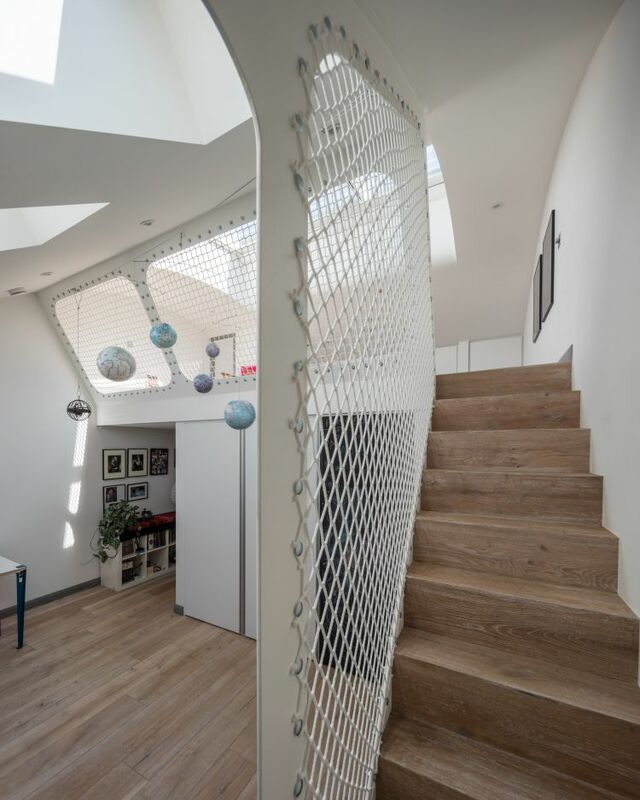 We have reimagined the interior of a modern townhouse in a private gated development, moments from Regent’s Canal. 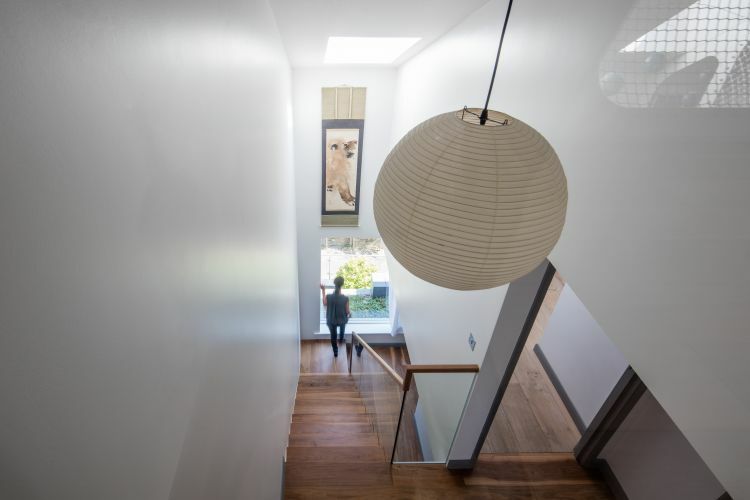 Interpreting the homeowner’s brief to create a progressive and innovative design whilst retaining the existing structure and envelope of the building, we created a home with a series of ‘nooks’. The house has been sensitively reimagined to work in-tune with the homeowner’s lifestyle. ‘The Nook’ is an exploration through the property, finding intimate spaces where the family can enjoy time together or alone. A dialogue was created between the constraints of the envelope and the family’s desired interaction with their new home. 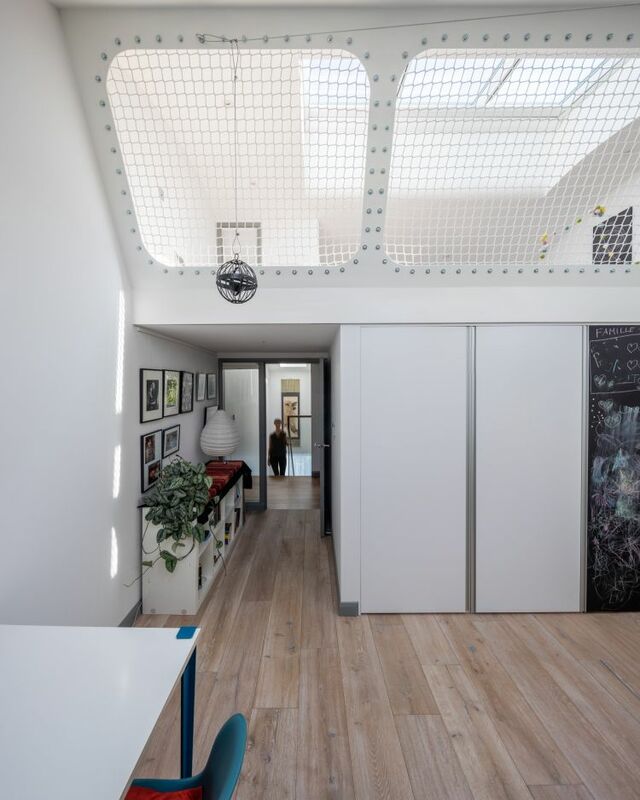 The relationship established between these ‘nooks’ and the building improved the house by uniting the architecture with the needs and wants of its inhabitants. The existing building structure gave us an opportunity to be creative with how we orientated the space. Rather than opening up rooms into a large living space, we created multiple intimate spaces to allow the family to spend time together or enjoy the space separately. 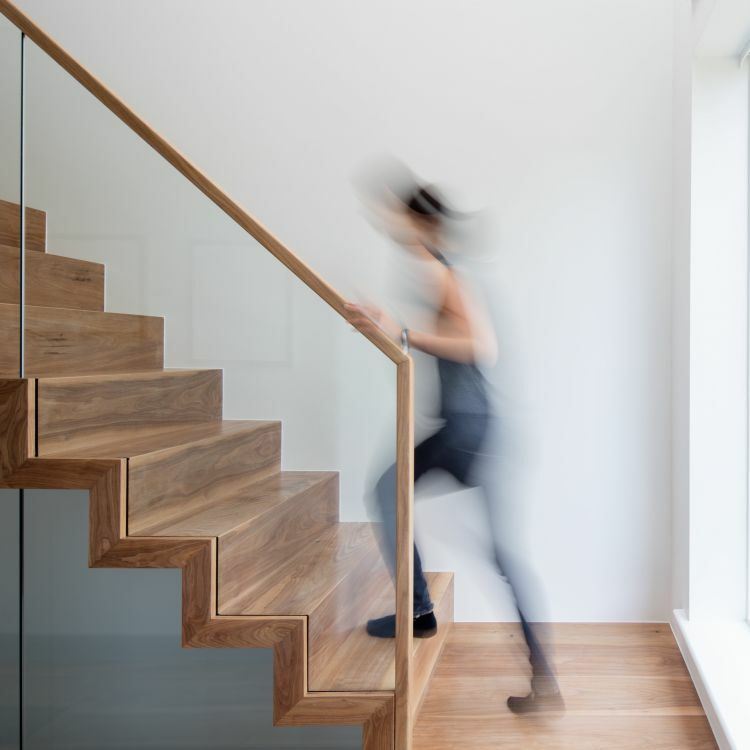 The Nook emerged via the embellishment of the essential elements of the house using carefully tailored joinery features. 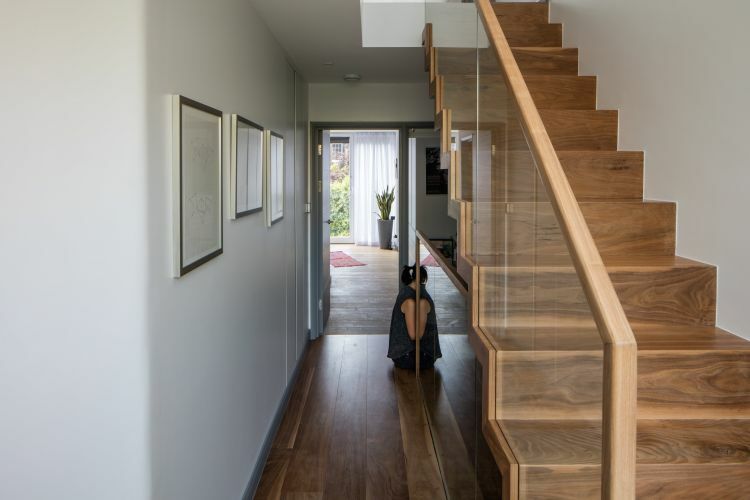 Entering from the ground floor, the family are greeted by a warm walnut floor and staircase with a glass bannister to increase the feeling of space. 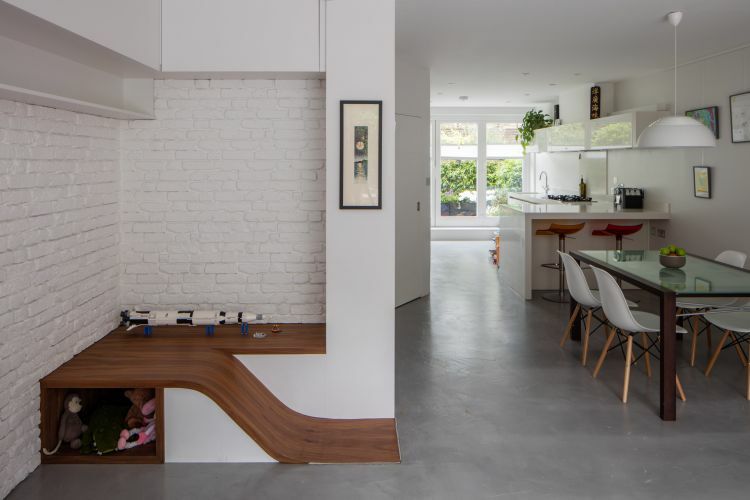 The ground floor was reorganised to become an open-plan kitchen and dining room with corner ‘nooks’ for reading and playing. A shower room is hidden behind the double vanity units to create a feeling of containment whilst using the private parts of the room. 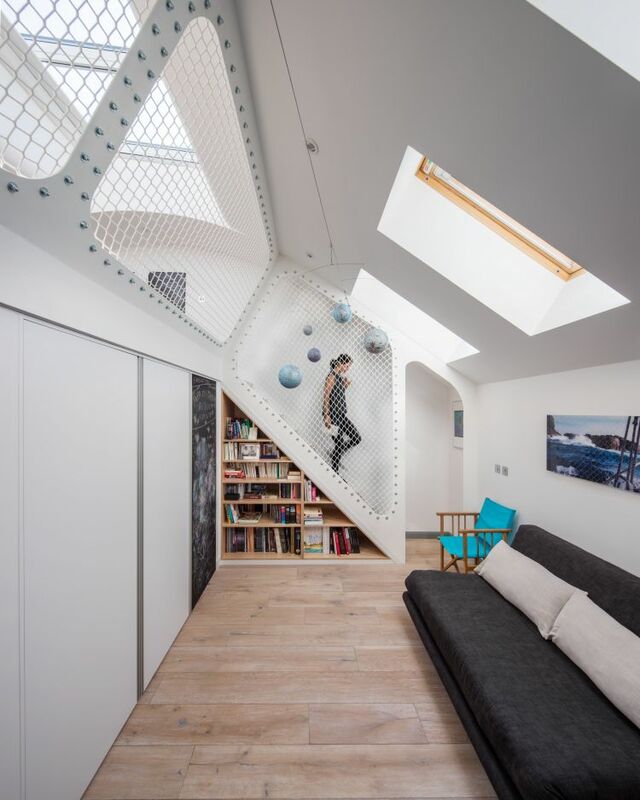 The first floor was transformed into a maritime playground with curved steel walls lined with fishnets to achieve an open plan, secret and playful space. The Nook is an example of our ethos to begin every project with an in depth discussion and analysis of how the family interact with spaces. By understanding carefully the daily activities of the homeowners, we can better understand how to facilitate and enhance them, using forms materials and textures. Many architects will start with a list of requirements, whereas this approach for design is based on a deeper more essential understanding of how space will be occupied allowing for surprising design decisions that would have never emerged from a typical list of requirements.